Open Source presents OPEN SOUND, a series of free live events exploring music subcultures and taking place on Gillett Square this summer. Lucinda Chua is an artist and composer, her recent work includes a live cello session for Boiler Room’s 4 : 3, a sound installation performance at Nottingham Contemporary gallery and the original soundtrack for the forthcoming feature documentary ZONA. CY AN is an artist, writer and producer. His debut EP, described by Boomkat as “a highly impressive maiden solo voyage… lighting up heady noumenal space somewhere between 0PN and Visionist, or Arca and Kuedo” was released in 2017, alongside production credits and extensive touring with frequent collaborator FKA twigs and a solo Boiler Room set which introduced his dense out of body sound. Lucinda and CY AN are friends and collaborators. They recently co-wrote music for Issue 3 of AVANTGarden magazine, concept by FKA Twigs and Oneohtrix Point Never. They will both be releasing their solo EPs later this year. 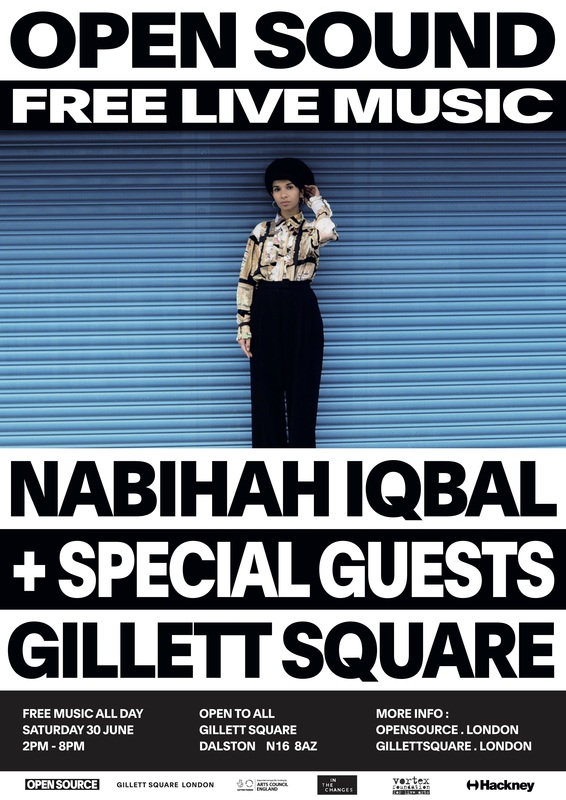 Releasing her debut album last year via Ninja Tune, Nabihah Iqbal leaves her old moniker behind and embraces the name she was born with. Formerly known as Throwing Shade, ‘Weighing of the Heart’ is a big statement in two ways: first, because she’s taken her real name to stand proudly as a female British Asian artist and secondly, because she’s moved her music in a bolder, more expansive direction. OPEN SOUND is supported by Arts Council England, Hackney Council, the Vortex Foundation and The Paul Hamlyn Foundation.